Today, I am reviewing the same after using it for a couple of days.. 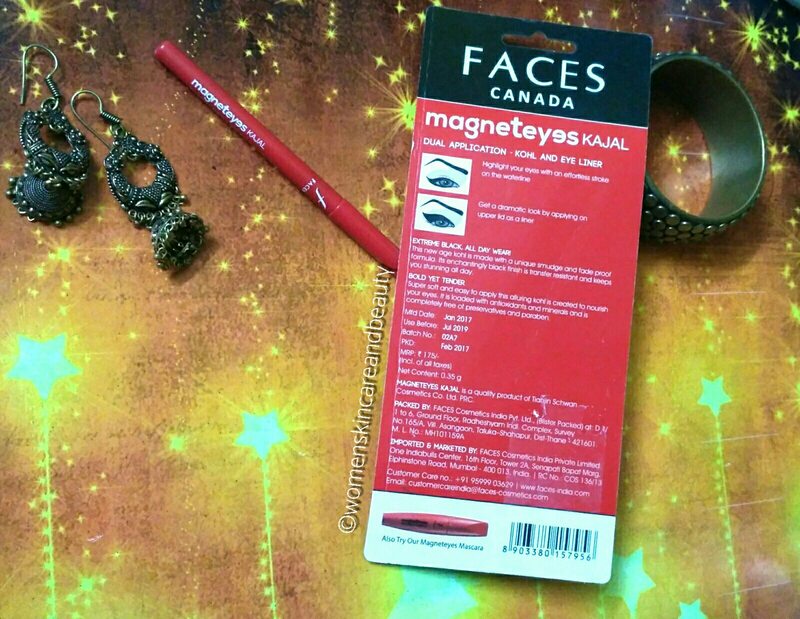 DESCRIPTION: Magnet Eyes Kajal, lasts all day; Extreme black kohl; Vitamin E enriched; Waterproof; smudge-proof​; Dermatologically tested. Dual application kohl and eye liner. ° Highlight your eyes with an effortless stroke on the waterline. ° Get a dramatic look by applying on upper lid as a liner. Extreme black, all day wear! This new age kohl is made with a unique smudge and fade proof formula. Its enchantingly black finish is transfer resistant and keeps you stunning all day. Super soft and easy to apply this alluring kohl is created to nourish your eyes. It is loaded with antioxidants and minerals and is completely free of preservatives and paraben. COST: INR 175 for 0.35g. The pack claims the kohl to be smudge proof and water-resistant.. 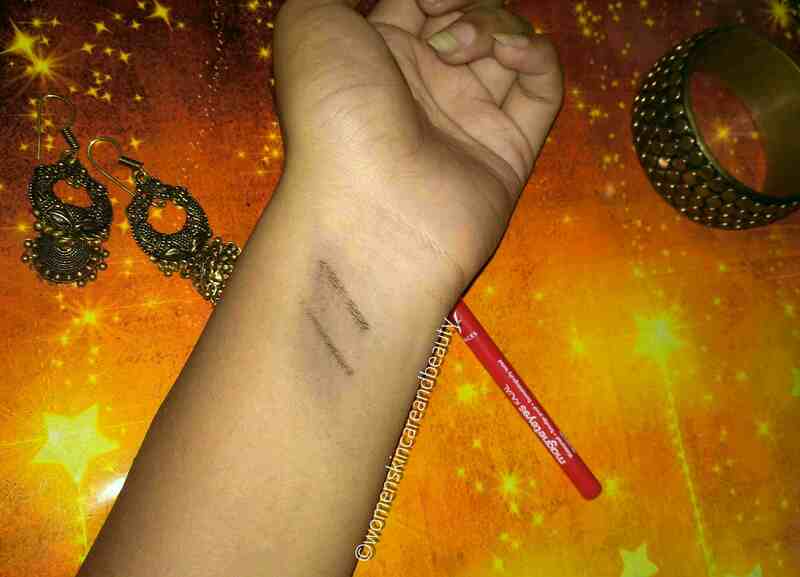 In the picture above, I have smudged the kajal with my thumb, after letting it set for a few minutes..
1. Inexpensive and travel friendly. 2. Available both online and offline easily. Buy it from here! 3. Easy application; glides smoothly; nice colour payoff. 4. Free of Parabens and other preservatives; has Anti-oxidants and minerals in it! 5. Water resistant to some extent. 6. As it smudges easily, it can be used to achieve an easy, simple, smokey eye look! 1. Not smudge-proof at all. 2. It is shiny and not matte. 3. False claim of lasting all day. 4. Smells like rancid vegetable oil. 5. The stick is very soft and breaks easily. 6. No ingredients list mentioned. Thanks for the honest review. Although I am not a makeup person yet sometimes wanted to wear a simple kajal for a smokey eyes. So, it sounds quite a good option for me. Yes, for smokey eyes, it would be great! I have used this Kajal but I did not like it whatsoever. Honest Review. Whenever it’s not smudgeproof, I can’t use it on my oily lids or watery lower lid, though I am a big fan of this brand. Thanks for sharing. The kajal doesn’t seem interesting to me… I prefer matte finish kajal, hence I will skip this..
Preservative free is a great thing. Had it be a smudge free, it would have been great. The kajal is nicely pigmented but smudges a lot! My deep set eyes cannot take those kajals which are not smudge free else i get panda eyes. Thanks for your honest review. Very well reviewed. Thanks for sharing your experience. 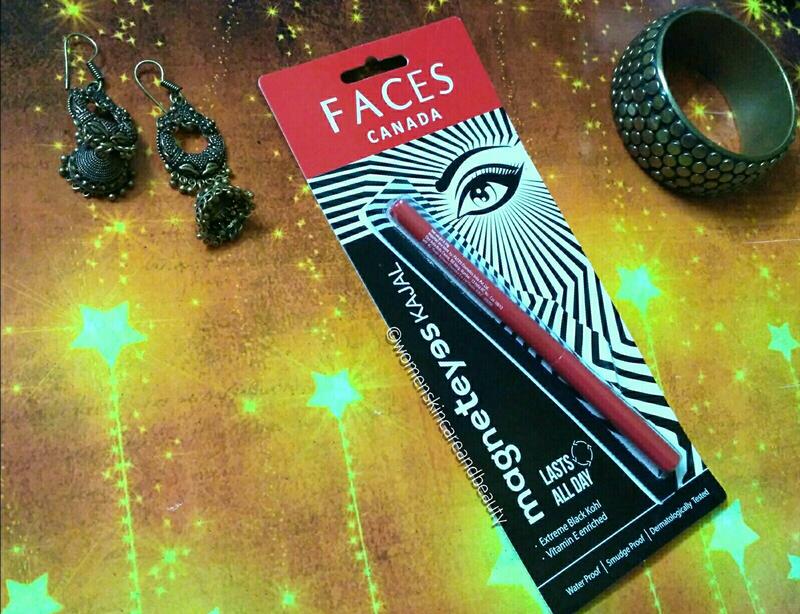 I love this kajal by Faces. Only issue is it doesn’t last for a month as well. I use kajal as eyeliner as well and need to buy it after every 20 days. I was going to get this kajal but then one from another brand caught my attention. The Kajal review sound great. I love wearing KAjal everyday. would love to try this. 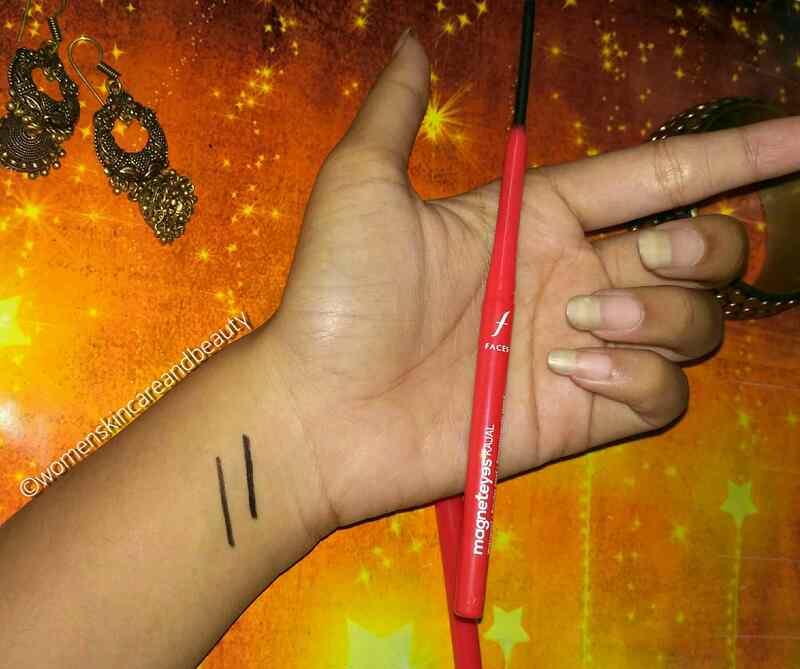 Kajal is the most essential on my face and I can’t leave home without a Kajal ! I will surely try this one !